We're excited to announce today that we will be continuing our growth in EMEA with new office space. HubSpot announced today that it has chosen Bogotá, Colombia as the location of its Latin America headquarters. The new office is scheduled to open in Q3 of 2018 and will be the eighth global location for HubSpot. HubSpot released today findings from a new survey that positions Berlin as the fastest-growing tech city in Europe, with the vast majority of respondents identifying the city as a burgeoning hub for startups and tech companies. HubSpot also celebrated today the launch of its new Berlin office and EU data center, further solidifying its commitment to supporting the booming DACH market. Pull out the duct tape and boxes, HubSpot’s Dublin team, who we lovingly refer to as DubSpot, is moving! 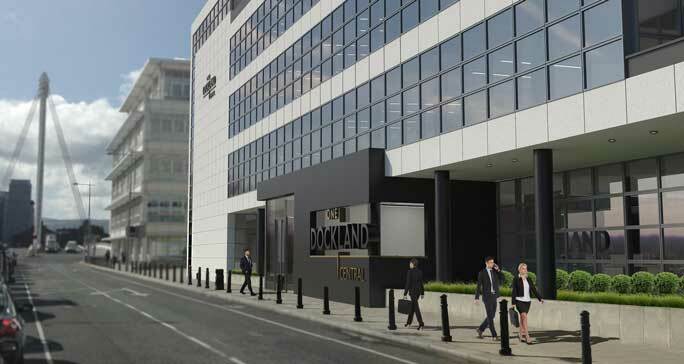 After outgrowing its original office space at 30 North Wall Quay in the Docklands, HubSpot will move its European headquarters to a newly refurbished space in the One Dockland Central building.